We held our second meeting on October 25, 2006. (1)Meeting with Denise Jurick of Reunion Committee, Inc.
(2)Discussion of potential locations, general costs and dates. Front: Debbie Mollner, Josie Edmonds Montanari, Dona Bunzel Rawson, Kelly Tyson Montgomery. Back: Nancy Sellers, Julie Lagerwall Riddell, Tammy Graf, Kathee Boyer. 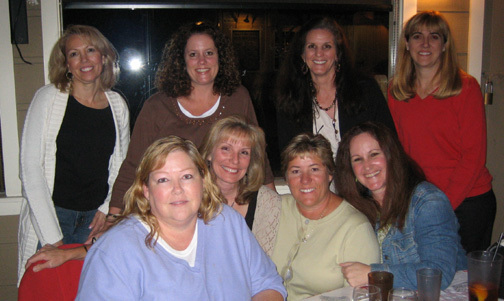 Photo taken 10/25/06, Sagebrush Cantina, Calabasas. 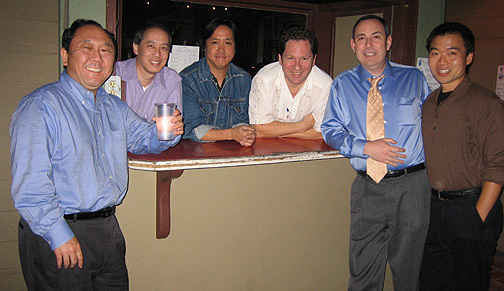 Glenn Kurosaki, Michael Nikaido, Daniel Shudo, Eric Zucker, Randy Farber, John Tsuchiyama. Our next meeting is 11/1/06 , Wednesday, 7pm, at the Sportsmen’s Lodge.